How much do Wee Folk cost? Bespoke individually hand-painted Wee Folk cost £25 each plus p&p. £6 (orders up to the value of £50) – Royal Mail First class tracked and signed for. £8.50 (orders over the value of £50) – Royal Mail Special Delivery. Your order will be carefully packed and sent direct to you in recycled acid-free packaging. We even use environmentally friendly 100% recycled adhesive tape. Do you ship Wee Folk overseas? Yes we can arrange for your Wee Folk to be sent worldwide. Please contact us via our Enquiries page for international shipping rates. With most major credit and debit cards. Wee Folk Scotland will invoice you by email and you can pay easily by following the simple and secure steps. What are Wee Folk made of? Beautifully smooth turned beech wood. 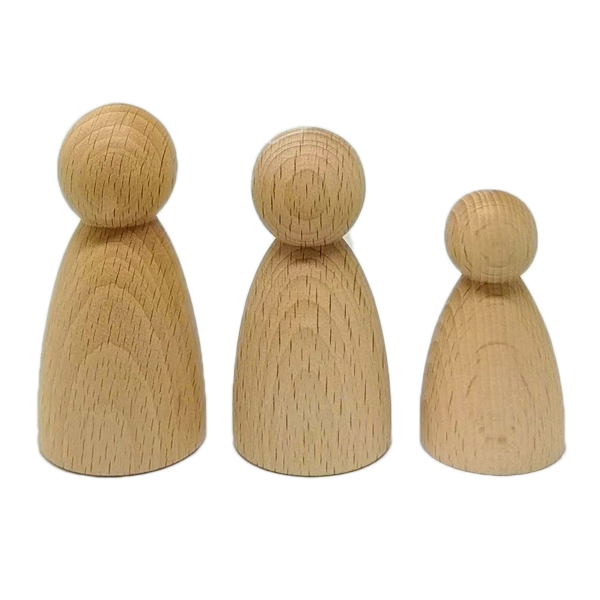 Wherever possible, the wooden figures used are sourced from FSC certified European wood suppliers. Painted with a matt finish acrylic paint and finished with a water based acid-free satin varnish. Wee Folk are made of a natural and sustainable wood. As a result please note that the figures all have unique colourings and markings as with any product with natural origins. How ‘wee’ are Wee Folk? There are three sizes currently available. 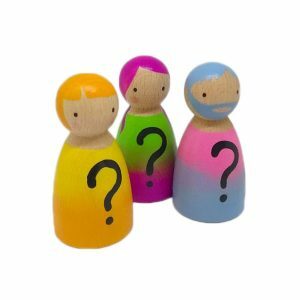 Are Wee Folk suitable as toys? Due to small parts Wee Folk are not toys and should not be given to infants under three. Wee Folk are decorative figures for display purposes only. How long do Wee Folk take to make? Approximately 4 weeks. During busy periods such as the run up to Christmas, lead times can stretch as long as 10 weeks. Please contact us via our Enquiries page about current turnaround time. Can Wee Folk be sent directly as a gift? Yes. If your order is being sent directly to the recipient please let us know during ordering so we can include a personalised note from you. How do I order Wee Folk?